Sean Kelly feels like his season is only beginning – just as Ross County close in on a silverware double. 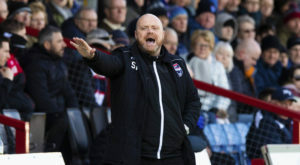 Ross County co-manager Stuart Kettlewell is confident fatigue will not be a factor when the Staggies attempt to move a step closer to the Championship title on Friday. Ross County defender Callum Semple has been hit with an immediate two-game suspension after being found guilty of breaching Scottish FA gambling rules, with a further six matches suspended. Ross County midfielder Don Cowie has hailed the Staggies for holding their nerve as the Championship's pacesetters. Ross County have enjoyed a far softer Championship landing than Partick Thistle but Staggies co-manager Steven Ferguson feels today's opponents will be eager to be in the race for promotion next season. Jamie Lindsay scored deep into stoppage time to maintain Ross County's five-point lead at the top of the Championship with a 1-1 draw against Dundee United. Ross County winger Daniel Armstrong knows victory over Dundee United tonight will go a long way towards completing a six-month leap from League 1 to the Premiership. Ross County co-manager Stuart Kettlewell wants to recreate the buzz of 2012 in tonight’s top of the table Championship encounter with Dundee United. 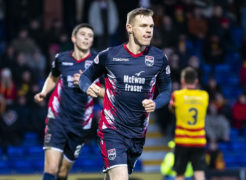 Ross County defender Andy Boyle remains uncertain over what his future holds but the Irishman is determined to cap his loan spell at Dingwall with a league and cup double. Ross County midfielder Ross Draper says points rather than bragging rights provide the main motivation in tonight's Highland derby against Caley Thistle. Ross County co-manager Stuart Kettlewell insists the Staggies will again be punished in tonight's Highland derby if they produce a repeat performance of their weekend loss to Alloa Athletic. Ross County have Queen of the South to thank for keeping them top of the table, but will reflect on a missed opportunity to give themselves breathing space ahead of a crunch week. Ross County spurned the opportunity to move five points clear at the top of the Championship as they fell to a 1-0 defeat against bottom side Alloa Athletic. Ross County co-manager Steven Ferguson is refusing to be fooled by Alloa Athletic's bottom of the table position ahead of today's Championship encounter at Recreation Park. Ross County midfielder Iain Vigurs' season is in doubt after he suffered a fresh setback in his recovery from a foot injury. Ross County defender Callum Semple's Scotiish FA hearing for betting on football matches has been pushed back to Thursday, April 11. Ross County defender Keith Watson feels the pressure remains on Dundee United to keep pace with the Staggies at the top of the Championship. 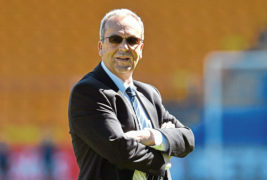 Ross County co-manager Steven Ferguson insists the Staggies will allow Dundee United to do the talking in the race for the Championship title. Ross County recovered from an off-colour first-half display against Connah’s Quay Nomads to claim a first trophy under co-managers Stuart Kettlewell and Steven Ferguson. Ross County have criticised a section of their own support for “unacceptable” behaviour at Saturday’s IRN-BRU Cup final. Ross County left it late to seal their third IRN-BRU Cup triumph with a 3-1 win over Connah's Quay Nomads. Marcus Fraser wants to win the IRN-BRU Cup to finally put Ross County’s relegation pain to bed. Michael Gardyne hopes his step-father turns his back on his native Wales and backs Ross County for IRN-BRU Cup success. Ross County’s six-game winning streak came to an end as Dundee United kept their faint promotion hopes alive with a 1-0 win at Tannadice. Ross County striker Brian Graham reckons tonight is a must-win game for Championship title rivals Dundee United. Ross County will speak to defender Callum Semple after he was issued with a notice of complaint for betting on football.